Chandigarh 17th May:- Sony SAB is synonymous with humour and its unique content which always gives it an edge. The channel is all set to bring back the classic Middle Eastern folk tale of Aladdin. With a sprinkle of magic, Aladdin, Naam Toh Suna Hoga, presents a fantasy packed with elements of light hearted comedy, adventure, romance and drama. Siddharth Nigam who has been locked to play the lead as Aladdin will set on a brave and adventurous and journey for his family and love. A lovable rogue, hopeless romantic poet and a righteous thief are only some ways you can describe him. Identical to the classic, Aladdin’s fateful journey will make him encounter difficult situations and introduce him to many different characters too. 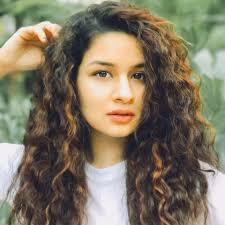 One such encounter would be when he bumps into the beautiful Princess Yasmine, played by Avneet Kaur. His escapades also lead him to the famous ‘chirag’, a magical lamp which possesses a mysterious Genie played by Raashul Tandon. Along with the captivating content that the show would offer, the viewers will witness an incredible cast of all time. The actors that have been roped in to play the prime roles in the show are Anita Kulkarni as Ammi, Badrul Islam as Chacha, Gulfam Khan as Chachi, Preet Kaur as Sultana, Muni Jaha as Sultan, Chandan Anand as Wazir and Zaid Khan as Omar.